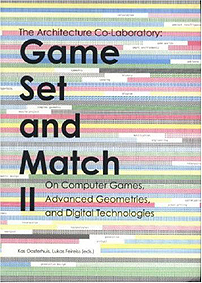 Essay in Game Set and Match II. On Computer Games, Advanced Geometries and Digital Technologies, Kas Oosterhuis, Lukas Feireiss, Minke Themans eds. Since MMOGs rely largely on graphical representation for the conception of environments, the particular techniques and conventions of that representation are crucial for the reading of the architecture of virtual worlds. As a hero, the avatar is the focal center and the organizing element in a scene. On the other hand, because the MMOGs are a place for thousands of avatars, i.e. player-subjects, an avatar – even if singular – does not remain single within a virtual world. VIRTUvian men interact within and hence the avatar-heroes are forced to negotiate the space. The social meeting of two avatars – whether friendly or aggressive – also involves the confluence of their respective environments. [Fig.5] Architecture is defined as the negotiation of these encounters, and the winner gains control through acquiring spatial advantages. Examples of such gained spatial control include morphing, teleporting, and transpiring. Botox-ing Architecture's Hermeneutical Wrinkles: From Differential to Integrative Thinking in Architecture, 1965-2005. The formal inventions of this series of authors, who are all associated in one way or another with the thought of the sublime, find their theoretical counter-part in the anti-philosophe Georges Bataille. 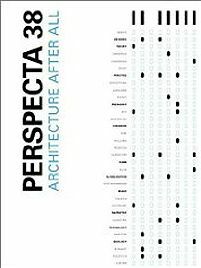 Bataille most visibly makes use of a wealth of grotesque body metaphors to undo what he sees as the repressive and static force of “architecture,” underlying all human effort of structuring. Indeed, for him, all architecture only exists in the service of the official power structure of the society that erects it, and, as a consequence, has its conceptual origin in the building of the prison: the official voice of society imposes its ethical “forms” onto the individual, who has no choice but to move within the space given to him by society. Nevertheless, Bataille’s argument is even more fundamental, in that he conceptualizes the human body --man’s own form— as the first prison he is incarcerated in. Based on this assumption, Bataille invests his writing in finding ways to de-structure these authoritarian constraints, and to highlight their transient and artificial nature by dismantling the biological prison that the human body represents. Therefore, he finds an early interest in the human body in the state of “ecstasy,” i.e. a body that literally breaks out of its own boundaries. This pursuit is already most clearly portrayed in his first novel, The Story of the Eye, from 1928, which plays with the notions of human obsession, excess and deviance [Fig.7]. Here, all traditional limitations of the body’s morality and physical integrity are suspended, and replaced with the decadent pleasures of sexuality, eroticism and necrophilia. Bataille’s bodies are penetrated or torn to pieces in acts of sexual, brutal and grotesque spectacles. The novel’s main tropes are constructed through the exaggeration of the improper.